As a finale to the networking year, we invite the local business community to join together to celebrate the festive season with a very special networking Christmas Lunch. There will be a prize for the best Christmas hat plus we'll be having a Christmas Business Quiz too. 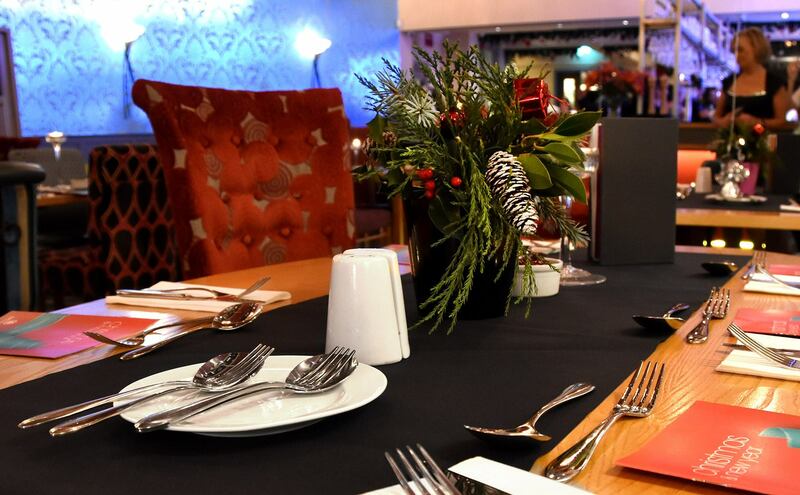 The sumptuous surroundings of Retford’s finest chic boutique restaurant, Spencer’s On The Square, provides us all with perfect venue to come together, share a fantastic 2 course Christmas lunch and celebrate a year of business networking in style! Convening at 12.00pm prompt, we’ll be networking in seasonal manner until a splendid Christmas luncheon is served at 1.00pm. Places are limited - first come first serve! . The earlier you all book the more space we all get - simples! Please tell us about any vegetarian or special dietary requirements at the time of booking. Terms and Conditions : ​Once booked all tickets become immediately payable and are non cancellable and non refundable and without exception. However, tickets are fully transferable. It remains your responsibility to arrange any such transfers and to send written confirmation to admin@northnottsbc.uk of any transfers to ensure ease of entry for the revised persons / company. All transfers must be advised to NNBC no later than Friday, 16th December 2016.